It takes a big personality to do that, to be real which probably explains why all my friends are different and a long way from so called "normal" which equates in my book to average. Who wants to be or know mediocre people? I have enough mind numbingly dull people to deal with in every day life without inviting them into my personal life. I like to know people who are unforgettable, definitely different people who life has shaped whilst they have shaped their lives. The people with real strength of character. It is a rag tag band of people who do unusual things and don't think quite like other people do, some people say we are "random" but we aren't, we're just two standard deviations away from the mean. We try to see the best in people and bring it out in them whilst knowing we sometimes fail to give ourselves this gift. So we are great friends to other people, but at times horrendous friends to ourselves. In fact if a person treated one of our friends the way we treat ourselves, no doubt words would be had, or at least an eye brow raised. Peoples lives intersect and you can never tell the impact or influence that you have had on a person; you might have only met them once, you might see them every day or you might never have met. It doesn't matter the only distance between friends is a thought, and as some of you know when you have a monkey for a friend, we are for life not just for Christmas. Plus life is much more fun and interesting when you have a monkey in it. If I could take the pain I would, if I can lighten the load I will but above all I'll just be there when you need me most, whether you're in intensive care in a foreign country, your big ends just gone on the motorway, when you need a hug from super long monkey arms or when you just need a cheerful emails with questionable jokes because you are along way from home. Given that my friends are for the best part bonkers just like me, I thought I would wear my stop staring! 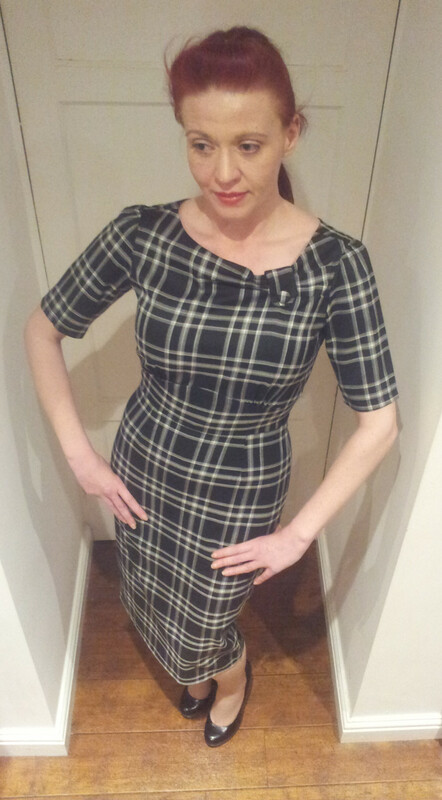 Mad men dress (hehe). It is a bold beautiful check pattern that illustrates wonderfully how friends intersect your life. I think this dress is charming I love the offset neckline with the fold over and the button, I like the paneled high waist as it accentuates your curves. 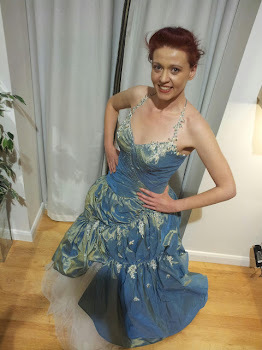 It is a pretty and practical work dress.